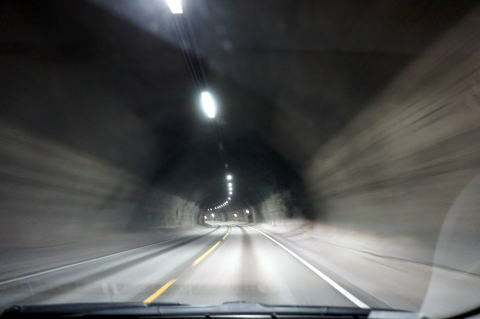 The twin-tube tunnel was built in the late 1980s as part of the city's motorway network. 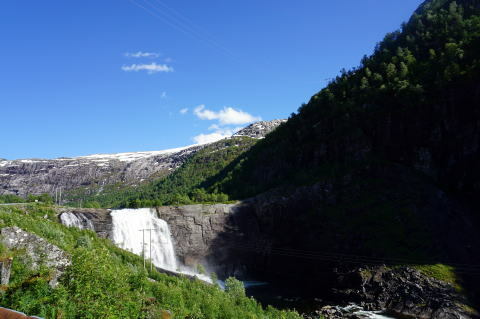 It passes through under the hill Floyfjell funicular runs. 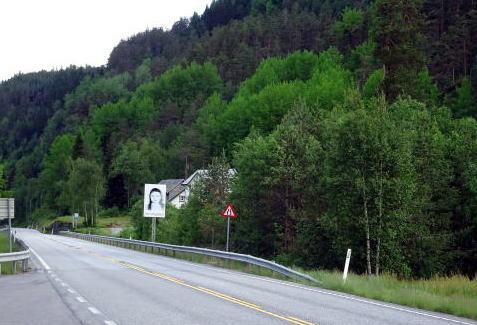 The road sign shows the important junction, of E16 and E39, is approaching. 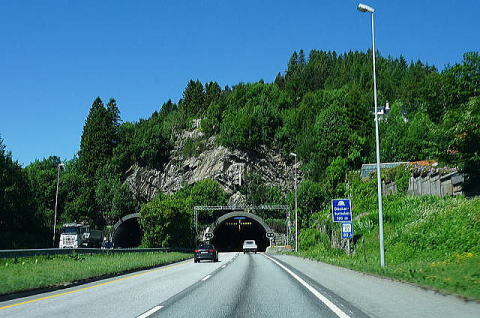 (L) Glasker Tunnelen 590m (R) The tunnel along the E16 makes a traffic smoother. 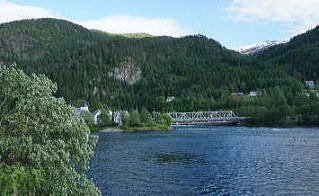 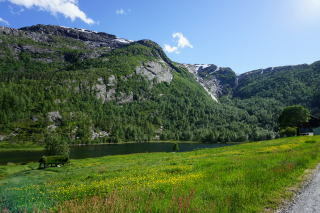 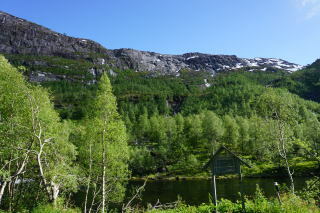 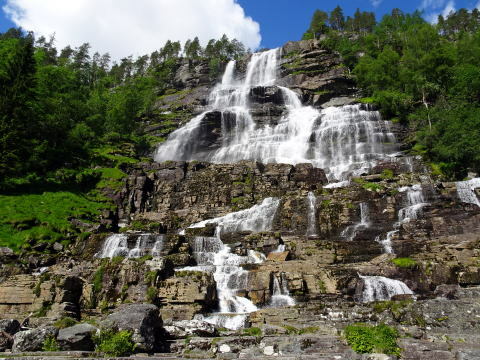 E16 runs along a fjord lake, sometimes along the railway between Bergen and Flaem. 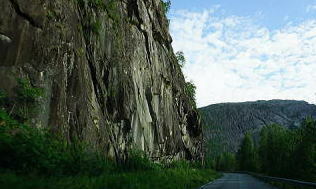 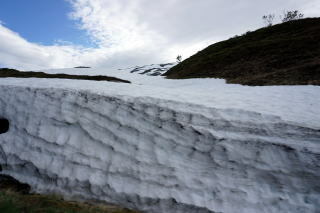 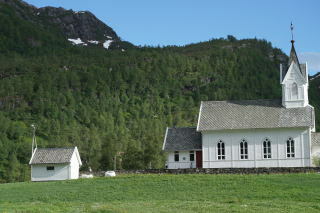 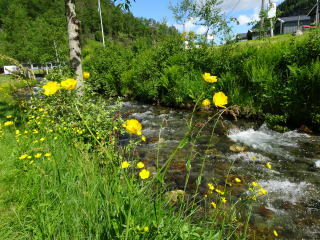 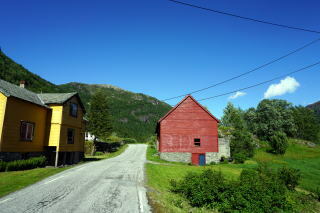 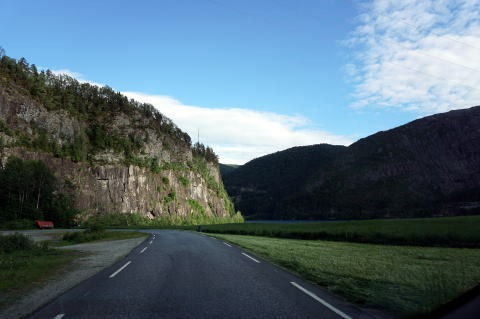 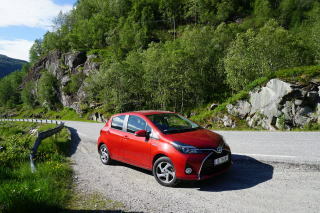 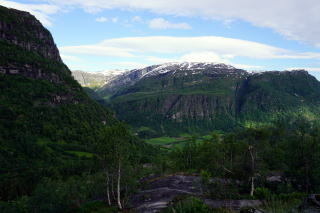 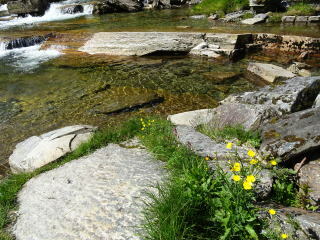 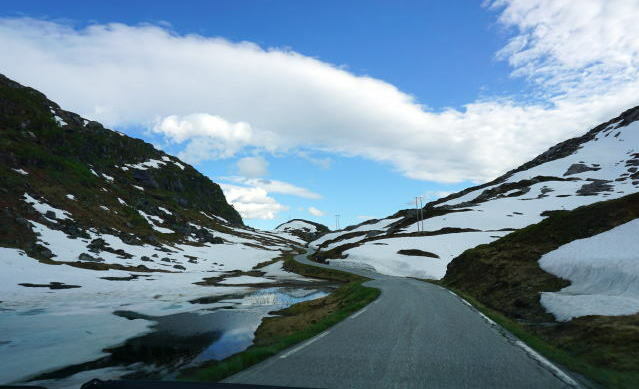 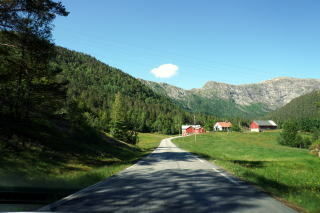 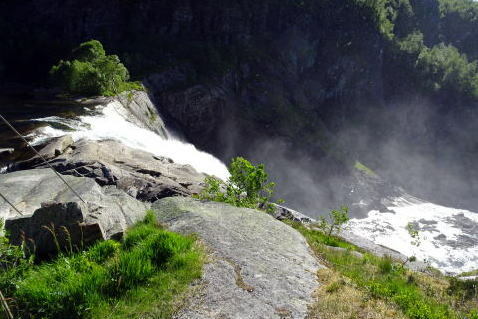 the highway would not run along the steep mountainside bordered by a fjord. 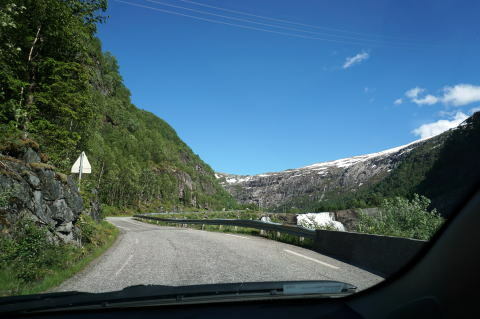 The E16 highway was buried by a surprise landslide on June 8, just outside the Hyvings Tunnel at Bolstad near Voss, but state highway crews managed to reopen the road on June 13. 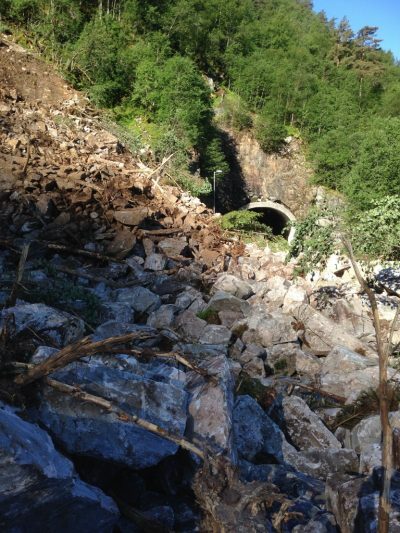 The landslide June 8 shocked even veteran geologists, and scared many users because of its sheer size. 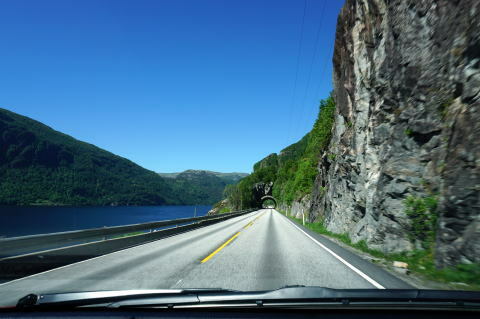 thundering down the mountainside near the Hyvings Tunnel at Bolstad, between Bergen and Voss. 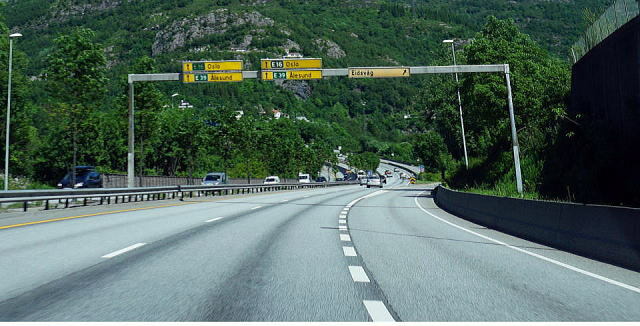 can avoid lengthy detours via other highways. 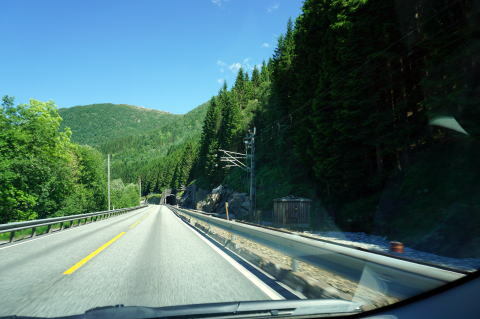 a new E16 with a tunnel through the area, but work cannot be started before 2021 at the earliest. 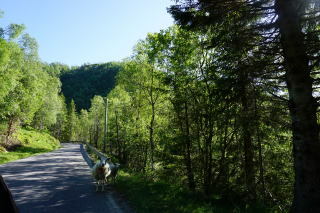 Route 569, FV344 and FV313: The following pictures were taken on June 9, the day after the landslide. 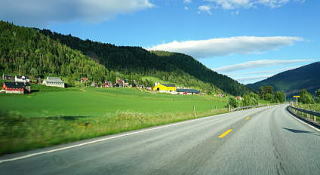 (L) Nesheim to Evanger　(R) We finally returned to the main road of E16. 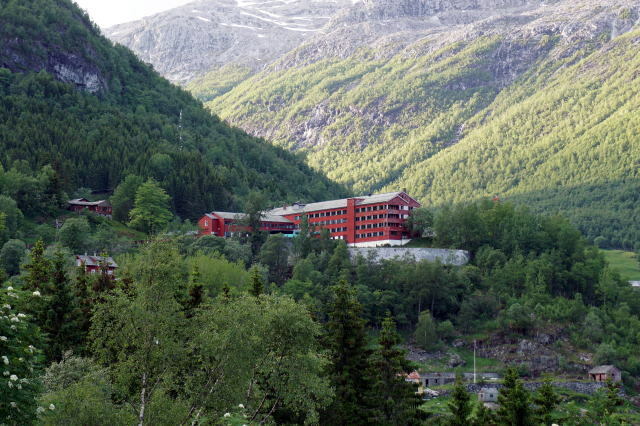 All hotels are smoke-free in Norway Fjord 2016.